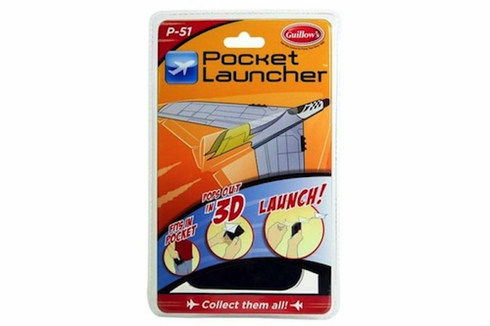 The Pocket LauncherTM plane comes in a hard plastic case that easily fits into pocket. Simply take it out, flip it open and launch the plane. A spring loaded launcher is built into the case that will easily get you flights of 20 ft or more. Planes are made of nearly indestructible plastic and have a soft foam nose tip for safety. Hours of flying fun in a transportable package. Sold as random design.